Today it’s important to be aware of the risk to get Parkinson’s disease. 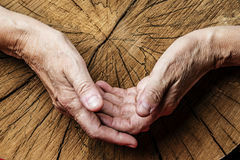 This disease cause symptoms in connection to diminished motor functions, and is characterised by the stereotypical tremors and movement difficulties which Parkinson’s patients experience. Currently there are many organisations and groups who work both to support the millions of people affected, directly and indirectly across the globe. There is currently no definitive cure for Parkinson’s disease, and this is partially also due to the fact that what causes the illness is also still unknown. Research is conducted by specialists, and treatment options available are becoming more and more. The main reason to why it’s so important now to be mindful of this disease, is due to that it’s becoming more and more common. The importance of finding and getting Parkinson’s diagnosed as soon as possible is high, as the sooner you catch it the better chance you have of finding a treatment which suits you. Each case of Parkinson’s disease and each individual inflicted are different, and the optimal treatment is wide and varied. Most commonly drug treatments are used to stimulate the dopamine production in the brain, but with early identification of the illness there may also be a greater chance to be able to part take in clinical trials, or to be a candidate for brain surgery. Surgery is also not a cure, however as many medicines used to treat Parkinson’s disease lose their effectiveness over time, it’s at times also used to help lower the symptoms of persons who suffer great side effects. So ensure that you are educated on what symptoms display in a Parkinson’s disease patient, and ensure that you spot it early should you or someone that you know start to show symptoms.